Theo Taylor, dubbed as Britain’s smallest baby, has survived despite being born the size of a Coke can. His parents, Katie Rhodes, 24, and Jay, 27, had been told to fear the worst when Theo stopped growing in the womb despite being smaller than expected at a 19-week scan, as reported by Daily Mail. 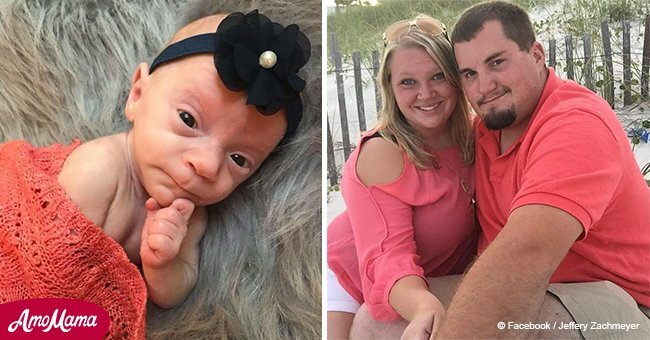 The day before he was born, his mother was offered a termination because of abnormally small size. 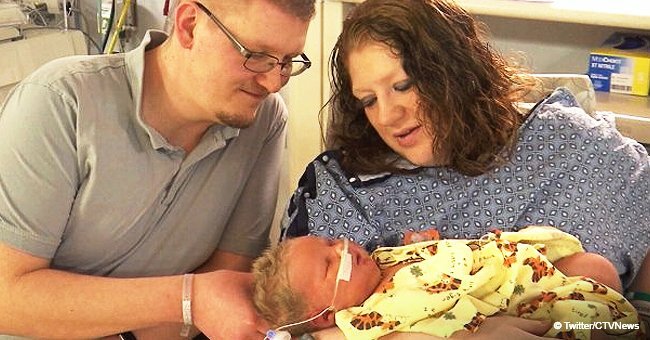 Theo was only 12 ounce - barely a pound - when he was born at 26 weeks and five days by emergency C-section on March 15, 2018. He was smaller than his father’s hand. Katie and Jay only got to touch Theo for a few seconds before he was taken away to be put on a breathing machine. Follow us on our Twitter account @amomama_usa to learn more. Because of his poor health condition, doctors warned Katie and Jay that he might not make it. But against all odds, Theo grew in size little by little until he was moved to a lower dependency ward at Royal Victoria Infirmary in Newcastle seven weeks after he was born. 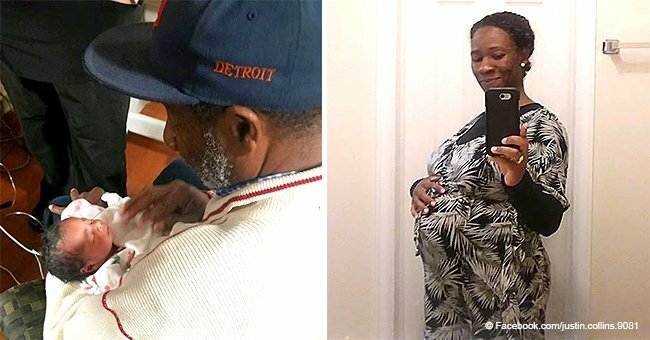 On July 7, 2018, almost four months after he was born, Theo was finally allowed to go home. By this time, he weighed seven pounds. Prior to this, he underwent a delicate operation to repair a hernia. 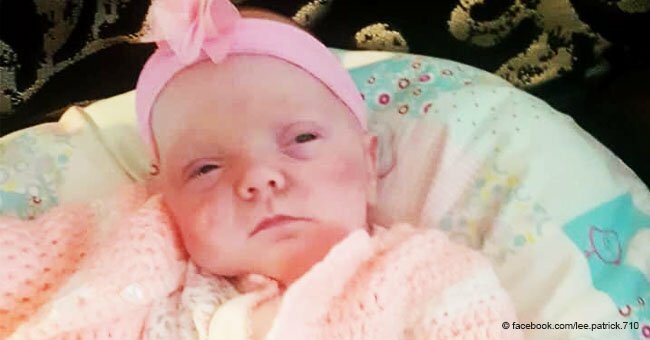 Theo, who is now nearly six months old, is believed to be the smallest newborn to survive in the UK since Aaliyah Hart, now 15, was born at 12 ounces in May 2003. Katie, a support worker, said she could not believe how bravely her son fought to survive against all odds. “It's weird to think he was the smallest baby ever as he is now so much bigger and doing so well,” she said. Doctors believe Theo will no longer suffer any more complications although she still takes doses of nasal oxygen. Jay, a delivery driver, recalled how she felt seeing his son for the first time.